Fuelled with experience, expertise and energy, Beruar & Beruar focuses on offering right solutions to clients and delivers desired results with optimum speed and efficiency. Founded by Mr. Rahul Beruar and Ms. Nidhi Jain, the Firm offers a spectrum of legal advice and assists domestic and international clients on contentious and non-contentious issues pertaining to intellectual property laws as well as general commercial laws. Established in January, 2018, the Firm caters to a wide client base including Fortune 500 companies to start-ups. With its in-depth industry knowledge, growing team of experts and working relationships with reputed global firms, the Firm has been consistently emerging as a trusted partner of clients across varied industry sectors. The Firm's services include design prosecution and registration as well as.. 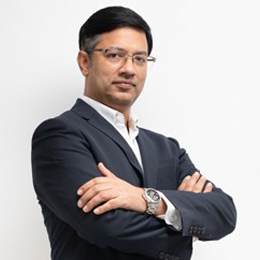 The Firm organises and conducts intellectual property enforcement..
Rahul is a partner and co-founder of Beruar & Beruar and leads the firm's Intellectual Property practice. Nidhi is a partner and co-founder of Beruar & Beruar and leads the firm's dispute resolution practice. Sachin is a partner with Beruar & Beruar and heads the Ranchi branch office. 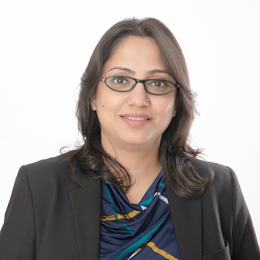 Sachin specialises in litigation and arbitration. Rajeev is a partner with Beruar & Beruar and heads the Mumbai branch office. Asian Legal Business features Beruar & Beruar as one of the top 10 India Firms to Watch. The feature recognises nimbler firms which offer exceptional services and deliverables outside conventional/long-established big-law-firm framework. Beruar & Beruar was recognised as one of the top five copyright firms in India by the 9th Annual Asia IP Awards for the year 2018. The shortlisting by Asia IP was compiled based on survey submissions, peer rankings, and the views of their own editorial team." As per the rules of the Bar Council of India, law firms are not permitted to solicit work and advertise. This website and the information therein is for informational purposes only and should not be interpreted as soliciting or advertisement. The information about Beruar & Beruar is provided to the User only on his/her specific request and any information obtained or materials downloaded from this website is completely at his/her volition and any transmission and/or receipt of information or use of this website would not create any lawyer-client relationship. Beruar & Beruar is not liable for any consequence of any action taken by the User based on any information and/or content made available on this website, which are for information purposes only. It is advisable to seek independent legal advice, if the User has any legal issues.